It's the last day of 2016. 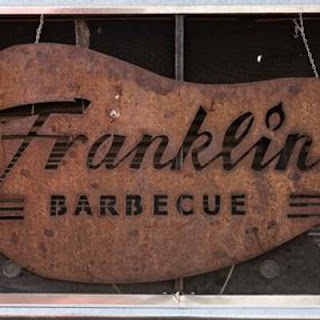 What was your favorite Texas BBQ joint this year? This Saturday, the College Football Playoffs kick off, with Washington v. Alabama, followed by Clemson v. Ohio State. If you correctly name the winner of each game, your name goes in the giveaway hat. Then, we will draw a winner, who will snag a 3-pound family platter from Big Cat BBQ (Cedar Park, TX). The 3-pound family platter comes with your choice of meat, 2 large sides, a cup of sauce, a loaf of bread, and condiments. The winner will also nab a YETI rambler, with Franklin Barbecue's logo on it! NOTE: You must claim your prizes in person at the respective restaurants. If you cannot, we will draw another name. You have until kickoff of the first semifinal game on Saturday, to submit your picks. There are 3 ways to enter the giveaway: (1) leave a comment below the post, (2) tweet us, or (3) email us. Tonight at 7:30 PM Central, the Dallas Cowboys kick off at home against the Detroit Lions. As we do each time the Cowboys play, we are giving away a $12 gift certificate to Lockhart Smokehouse! There are 3 ways to enter the giveaway (no later than the end of the game): (1) leave a comment below the post, (2) tweet/retweet us, or (3) email us. 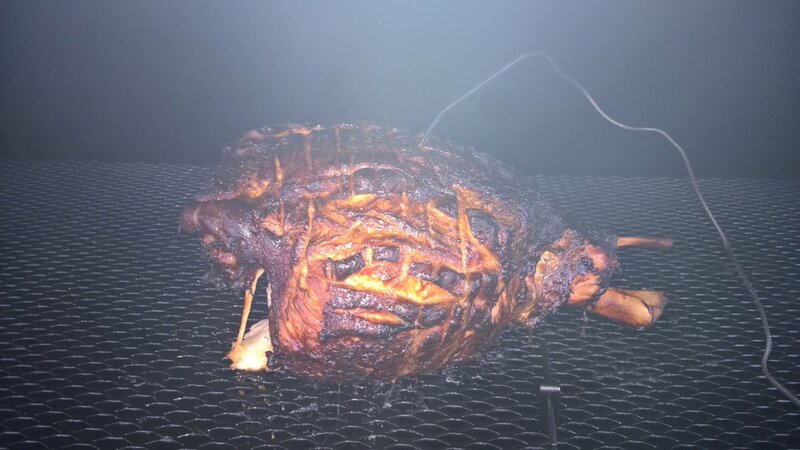 Did any smoke any meats today? I'd love to see some pics. Tonight at 7:25 PM Central, the Houston Texans kick off at home against the Cincinnati Bengals. As we do time the Texans play, we are giving away a slab of pork ribs, courtesy of Pizzitola's BBQ! There are 3 ways to enter the giveaway (no later than the end of the game): (1) leave a comment below the post, (2) tweet/retweet us, or (3) email us. Lunch at Blanco BBQ: backed potato with chopped brisket. 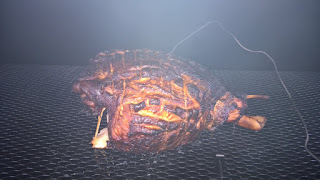 Via Dallas Observer, I learned of a new spot for smoked meat in Dallas (8602 Garland Road): The Smoky Rose. 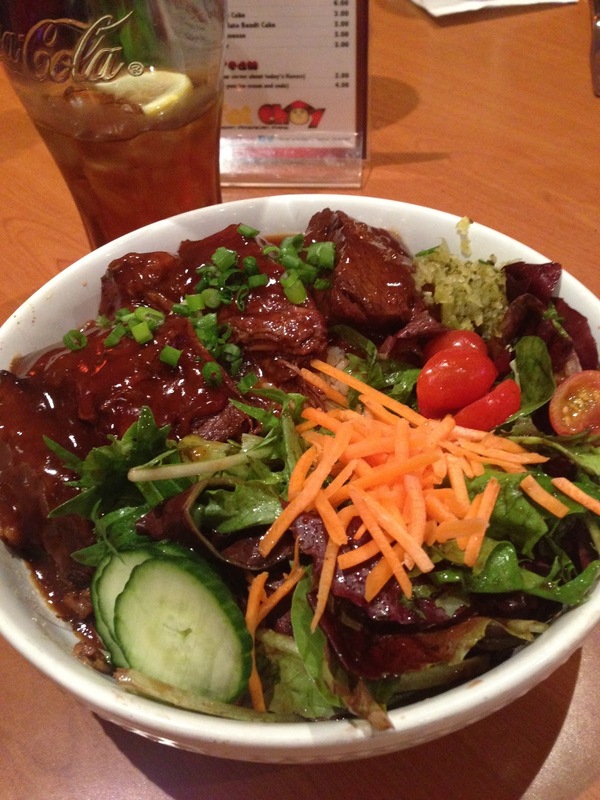 The article includes a press release from the restaurant and the menu. Check it out. After a big meal at Louie Mueller, I polished off a Texas Q Tours trip with some refreshing leisure time at Austin Beerworks. Tonight at 7:30 PM Central, the Dallas Cowboys kick off at home against the Tampa Bay Buccaneers. As we do each time the Cowboys play, we are giving away a $12 gift certificate to Lockhart Smokehouse! There are 3 ways to enter the giveaway (no later than the end of the game): (1) leave a comment below the post, (2) tweet/retweet us, or (3) email us. Today at noon Central, the Houston Texans kick off at home against the Jacksonville Jaguars. As we do time the Texans play, we are giving away a slab of pork ribs, courtesy of Pizzitola's BBQ! There are 3 ways to enter the giveaway (no later than the end of the game): (1) leave a comment below the post, (2) tweet/retweet us, or (3) email us. After some craft beer at Hops & Grain, I took a Texas Q Tours crew to lunch at Louie Mueller Barbecue (Taylor, TX). Food pics to come. Finally getting around to posting some pictures from one of our late-summer Texas Q Tours trips. First stop: Hops & Grain Brewing (Austin, TX)! 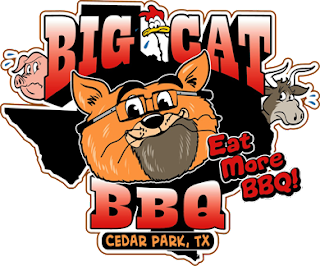 After a conversation I had today, I'm curious to know your picks for the best Texas BBQ joint for a wedding-rehearsal dinner. Not talking about catering. I mean having the rehearsal dinner at the BBQ joint. Which suitable (e.g. they can host big groups) place would be your top pick? I know, I know. Good brisket doesn't need anything else. 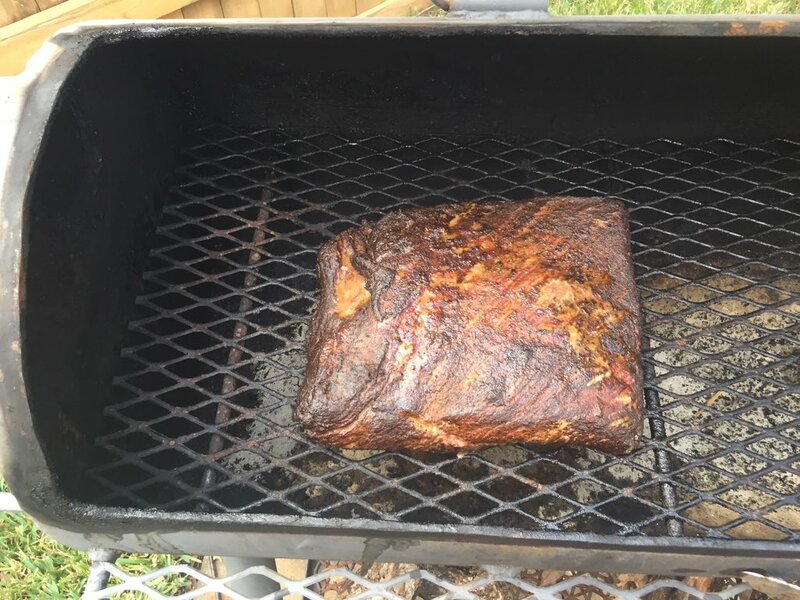 But, humor me: Which side item pairs best with brisket? We are thrilled to welcome the newest affiliate of The Q Card: BBQ Pits by Klose (Houston, TX)! 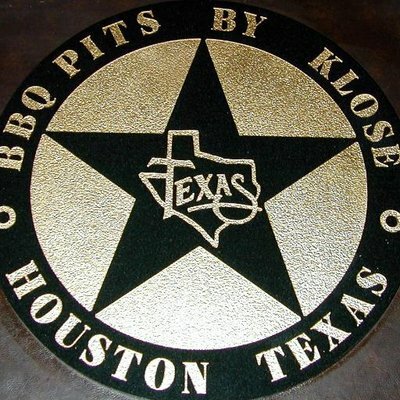 I'm sure most of you are familiar with BBQ Pits by Klose, and we are delighted to have them as an affiliate. Cardholders are entitled to 10% off any backyard smoker or grill (cannot be combined with other sales/discounts)! Check them out online and on Facebook & Twitter! Today at noon Central, the Houston Texans kick off on the road against the Indianapolis Colts. As we do time the Texans play, we are giving away a slab of pork ribs, courtesy of Pizzitola's BBQ! There are 3 ways to enter the giveaway (no later than the end of the game): (1) leave a comment below the post, (2) tweet/retweet us, or (3) email us.